India is one of Russia’s strategic partners in Asia. For many decades the two countries have shared warm ties and engaged in mutually beneficial cooperation. This is still true today despite certain aspects of foreign policies adopted by two nations, as, for instance, India’s cooperation with the USA and the Russian Federation’s strengthening relations with Pakistan, one of India’s main rivals. It is well known that the Soviet Union was the first state to establish diplomatic relations with the newly formed Indian nation, which gained its independence in 1947. Since then, the USSR provided considerable aid to India to develop its manufacturing capabilities, the energy sector and national security. After the collapse of the Soviet Union in 1991, Russia and India have maintained friendly relations. For example, Russia remained the main arms supplier of the Indian military for many years, and India the Russian Federation’s main weapons buyer. In the last decade the levels of cooperation between the two countries rose to the highest levels in the sphere of science and technology. Currently, there are a number of ongoing Indian-Russian projects in the spheres such as defense technologies (BrahMos cruise missile), space exploration and nuclear energy. 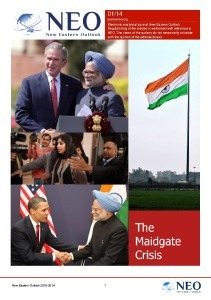 However, many researchers have begun to doubt the future of India-Russia relationship in the last few years. The fact is that India’s main rival happens to be China, a country which India has territorial issues with and competes for a leading position within the Indo-Pacific. And the Russian Federation is an ally of China, a nation that has ambitions to dominate all the waters along the southern coast of Eurasia. Russia is an active supporter of the One Belt, One Road Initiative (OBOR), aimed at creating a single network of transportation routes to aid economic integration of Eurasia and Africa. The initiative encompasses OBOR’s sub-project, the 21st-century Maritime Silk Road (MSR) that connects the sea routes linking Europe, Asia and Africa along the southern coast of Eurasia. The Russian Federation shares China’s viewpoint that transportation and economic integration will lead to increased trade and rapid economic development in all the countries which are part of OBOR and MSR. India refuses to become a part of OBOR, and views MSR as a smoke screen for China’s ambitions to establish military bases in ports of participating countries. Therefore, India considers the initiative a direct threat to its security. A sudden entry of a Chinese submarine into the territorial waters of Sri Lanka, an island located only 50 km from India’s coast, in 2014 only served to add more fuel to India’s suspicions. Fearing PRC’s continuous growth in military might and political clout, India has been forced to cooperate with China’s rivals in Asia-Pacific: Japan, Australia and the USA. Hence, the Quad, a four way dialogue between the US, Japan, Australia and India, resumed its work on issues of regional security in November 2017. India and the US have been holding regular military drills, called Malabar, which Japan started taking part in during recent years. This affects India-Russia relations because the Russian Federation and the US have a number of disagreements in the last few years. In response, Russia recently began strengthening its relations with Pakistan, India’s neighbor as well as its long-term rival. Hence, in December 2017, the Russian Federation took Pakistan’s side in its Kashmir conflict with India. Cooperation between Russia and Pakistan in the sphere of military technology started growing. The two nations also began holding military drills together. From October to November 2018, for instance, Pakistan hosted the military exercise Friendship 2018. The drills involved an exchange in experience between the Russian and Pakistani militaries in armed engagement in difficult mountainous conditions. The aforementioned events prompted some media outlets to speculate that Indian and Russian paths may soon diverge, and that fruitful cooperation over the last 70 years would not prevent the two sides from parting ways. However, in October 2018 the heads of these two nations proved that such statements had been premature. From 4 to 5 October 2018, New Delhi hosted the nineteenth India-Russia summit that the President of the Russian Federation Vladimir Putin attended. 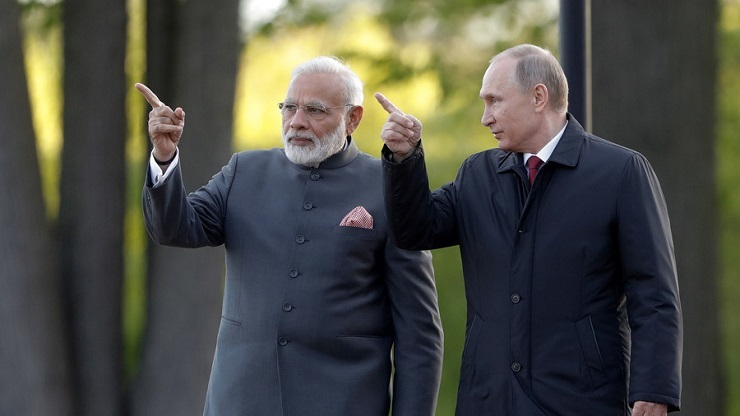 His negotiations with the Indian Prime Minister Narendra Modi resulted in the signing of more than 20 far-reaching agreements between Russia and India. According to many experts, there was a breakthrough in the India-Russia relations. The fact that the leader of the Russian Federation attended the summit in person signified that the Russia-India relationship remains strong and amicable, and that cooperation with India remains one of Russia’s foreign policy priorities. The signed agreements have laid the foundation for developing ties between the two countries in the decades to come. Russia and India have agreed to increase the mutual trade turnover volumes to $30 billion per year by 2025. The two sides also intend to expand levels of cooperation in various spheres, including nuclear energy, space exploration and national security. The cooperation agreement, signed by both nations, in the field of national security deserves a special mention. According to the document, India purchased five S-400, anti-aircraft weapon systems made by Russia, for $5.43 billion. Without any exaggeration, this occasion could be described as a crucial landmark in Russia-India relations. By signing this agreement with Russia, India has demonstrated that the Russian Federation remains a very important partner, who India is ready to oppose the US for. 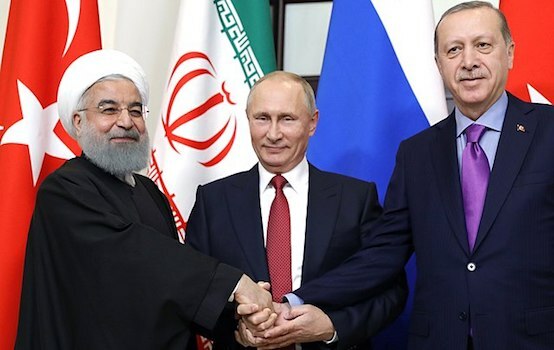 The fact is, according to the US law on Countering America’s Adversaries Through Sanctions Act, signed by the US President Donald Trump in August 2017, the United States is obliged to sanction any state that purchase weapons, such as S-400, from Russia. Consequently, China was sanctioned for buying this anti-aircraft weapon system in September 2018. Nevertheless India did not bow down to pressure from its regional ally and made a decision to purchase the S-400 system regardless of how this would affect the US-India relations. This eloquently speaks to the fact that India views Russia as a more important ally in the sphere of national security. In the Indian Prime Minister Narendra Modi’s own words ‘developing ties with the Russian Federation is an integral part of India’s policy’. And the agreement on India’s purchase of S-400 demonstrates that this statement indeed reflects reality.